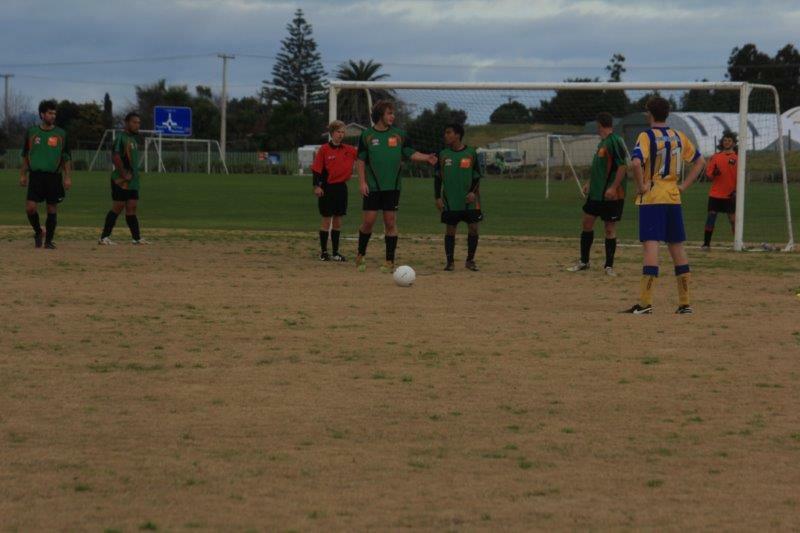 The Papamoa pitch was strangely grassless, it felt like playing in a foreigh country! 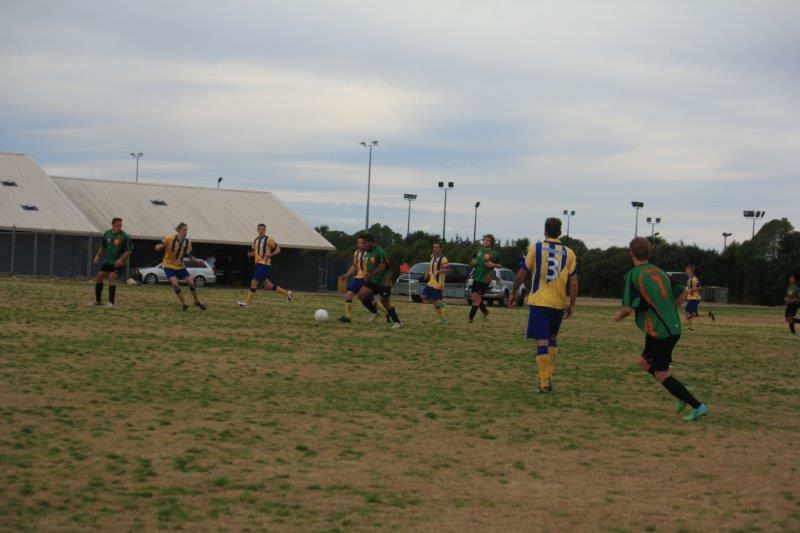 Papamoa line up a free kick. 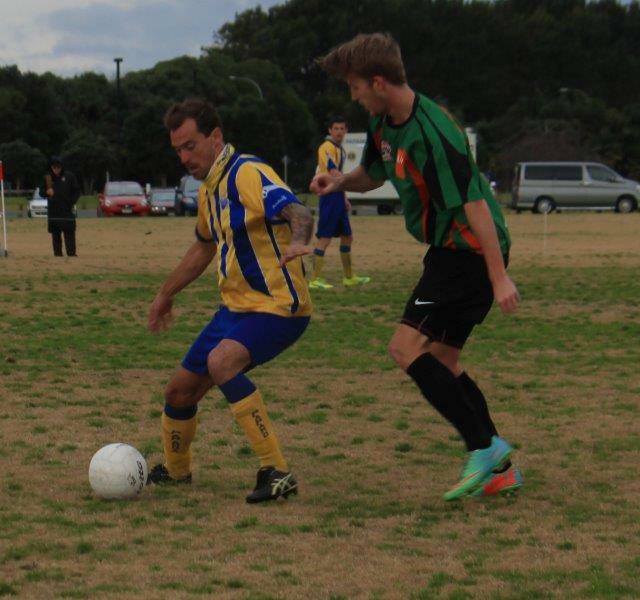 Keeper Matt Eveleens gets his bearings to line up a wall. Jordan, Jamaal and Tijmen are in vaguely the right place! Thanks to Tony Kirby for these pics. You can hear Tony on Radio 1XX's Sports Round Up on a Monday evening. Player of the day Jamaal made some good tackles and interceptions. 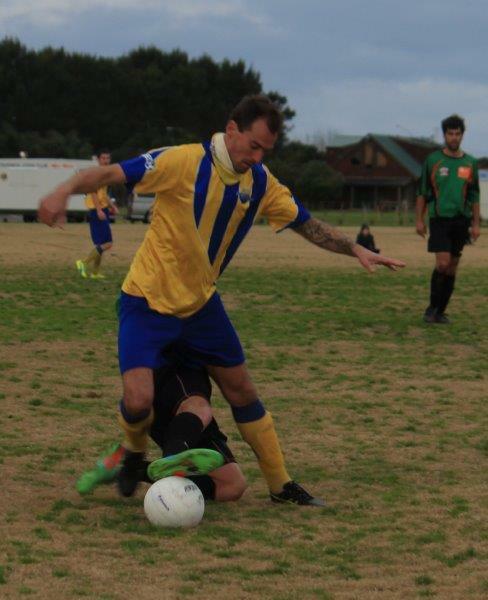 However, his yellow card was probably caused by Pete! Hamish had some good battles with the head scarf wearing opponent. 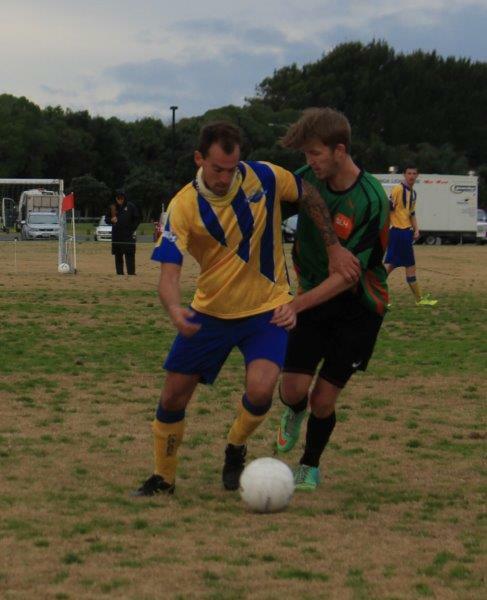 Don't pull his shirt now Hamish! How to win the ball cleanly from behind! Our Tongan import was back. Sione takes on the Papamoa defenders. His left footed goal was a beauty!